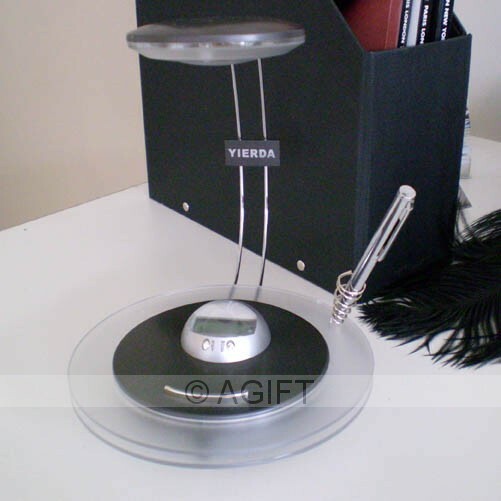 This three in one battery powered desk clock, includes a digital clock, lamp and pen holder. What a practical desk item. No wires - light and portable - take it with you where ever you go. 2 x AA Batteries are included.